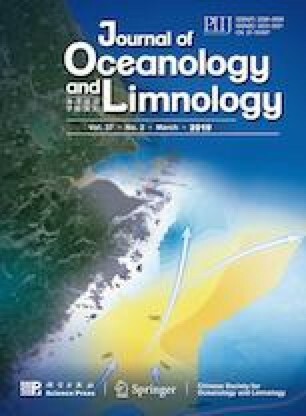 The geographical variations in life history characteristics of small yellow croaker Larimichthys polyactis, caused by experienced diff erent environmental conditions, have been observed in China seas. Previous studies based on spatial distribution, migration route, and body morphometrics suggested a complex stock structure. In this study, to clarify the source of a spawning stock, we investigated the reproduction strategy and inter-structure of the Haizhou Bay (HZB) spawning stock in the middle Yellow Sea from both egg survey and adult otolith increment analysis. Egg and adult samples were collected from three surveys during spawning season in 2013. Distinct spatial and temporal variations were detected in egg distribution and size, and otolith shape analysis of adult fi shes revealed two morphotypes with diff erent increment growth using random forest cluster. The results indicate the existence of two components within the same spawning stock in HZB from diff erent wintering grounds, and accordingly special protection should be required for this stock given the signifi cance to maintain connectivity between adjacent subpopulations. We also thank all of the undergraduates and fi shermen involving in this work for their assistance in sample collection.